Technology has offered many new tools, and the laser square or level is one of the most useful. Even a basic model will save time and increase accuracy on your projects. Laser squares upgrade old-style levels by using precise laser technology to guide alignment. 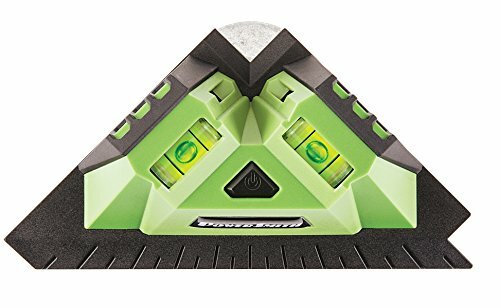 The typical tool emits two laser lines at 90-degree angles, visibly displaying the correct framework for alignment without the mess and fuss of chalk strings, oversized ‘T’ squares and challenging terrain. Laser levels are great for tiling and framing work, and are also helpful for home projects. There are a huge number of brands and models to choose from, so do research to find a unit with features you really need—and to avoid paying for those you really don’t. In this article we’ll review a selection of laser levels, and explain the features to look for in choosing the right tool. A laser square emits visible beams that provide precise guidance along a straight line. The tool eliminates the mess of chalk dust and fuss over painfully affixed strings that lose position. A simple button turns on the projected lines in most units, making the task of alignment quicker, easier and more accurate. There are a lot of laser levels on the market, but remember the purpose of a laser square is the beam, an element in all models. Accuracy is important, but other factors like brightness, angle adjustability, range, battery life and warranty vary from model to model. Reflect on your needs and research which units satisfy your requirements: with careful compromise you can find a great value. Most units come with preset 90-degree perpendicular beams, and some include a 45-degree angle positioning ray or an adjustable emitter. Advanced models offer a self-leveling function and high accuracy and range. Special features like off-level detection and 360-degree beams are available, though no one unit has everything. Remember: the more options offered by a laser tool, the bigger the learning curve and overhead you face. A high-end unit is worth such attention if you’re a professional tradesman, but will be too powerful and complex for most home users. 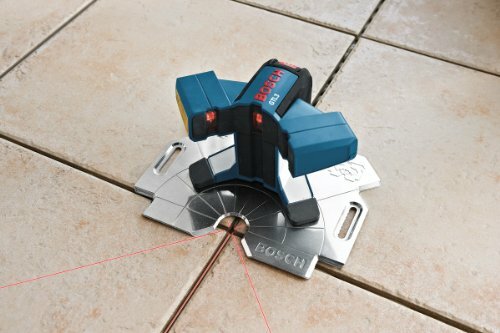 The most common use for a laser level is laying tile, a tedious job to do well with just chalk-lines or string. There are several methods of mounting, including magnetic plates, a tripod bracket, or just strips of adhesive. Once set, the anchored lines can maintain position throughout your project. Better models offer higher accuracy, but always check! Also verify the beam strength is sufficient for your conditions, as it can be difficult to see the laser line across long distances or in daylight. The most important factor in a laser level is accuracy, since proper alignment is the purpose of the tool. Many devices are acceptable at short range but not long distances. Accuracy varies between manufacturers and models, so check the ratings to make sure they meet your needs. The range of a laser square/level translates into how much area you can cover before repositioning the unit. Beam strength drops quickly in most models, and a laser square that is perfectly visible at short range can be impossible to read over a medium distance. The ambient light in your work area is also important, as few beams carry well outdoors without special goggles or transmitters. A laser square needs to be mounted securely, and the method of attachment varies greatly. The simplest means is a hole in the housing for a positioning nail, and fancier models come with combinations of legs, special tripods or magnetic plate mounts. You may wish to avoid adhesive strips of “goo” which are temporary and require replacement. Most laser levels work on a battery for convenience, and will require regular charging or replacement. The expected charge life is subject to the bells and whistles it powers, so be sure to check the battery rating before making a decision. The durability of a laser unit is given by its IP Rating. Low-rated models may be suitable for simple home duties, but for tougher conditions there are many robust units classed as IP54 for being dust-proof and impervious to water damage. Some basic laser square/levels are basically disposable, but you will want to protect your investment in higher grade units. 2 years is a good warranty for laser levels, though most can be expected to last longer. With consideration, any decent model will serve for a long time. 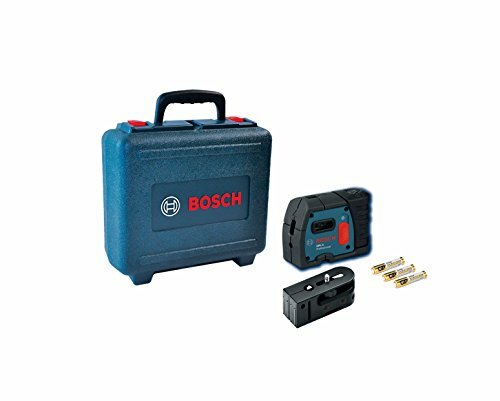 Bosch is a quality manufacturer of laser squares, and this basic unit can handle most household projects. The beam projects two perpendicular lines with a range up to 30 ft., and its angle can be adjusted in 5-degree increments. The dual lines turn on with a button. This is a utility economy model which emits a fairly bright beam for its class. One downside: though the level can be secured to a smooth surface with adhering putty, the adhesives wear out quickly and must be repurchased. This laser square is a good value for the price, with accuracy to within an inch per hundred feet. Sufficient for most households, it is great for laying square tile, hanging pictures and other light duty projects. • Accurate to within 1in. per 100ft. 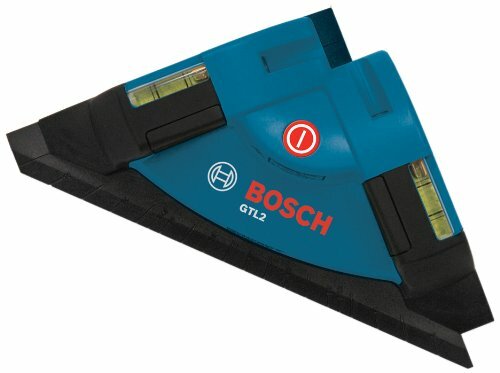 A professional model made by Bosch, the GTL3 has handy positioning features and enough durability for the job site. The 90′ beams are visible in front of the unit for easy centering and placement. There is a 45-degree laser too, which is very handy for centering square tiles. The laser is IP54 rated, dust- and water-proof, and the bottom of the unit is magnetized for secure positioning. The beams are slightly raised for tile clearance. This is a small unit that does a quality job suitable for most construction uses in framing and flooring. The battery allows for long use. The beam could be brighter for outdoor use, and there aren’t too many special features, but this is a durable and well-designed unit that will last a long time. • Accurate up to ±1/16-in at 20-ft. 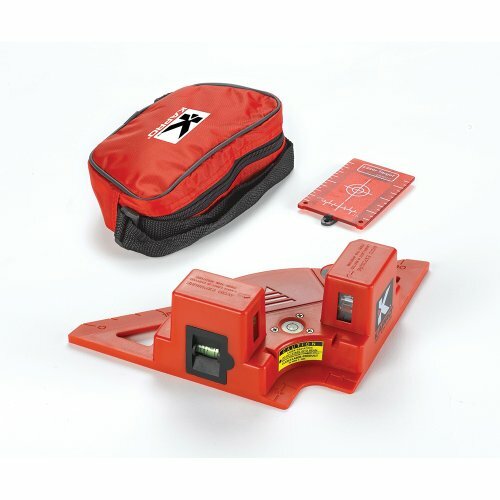 This Stabila model is a mid-range professional laser level with good durability and beam strength. The laser lines are bright enough for most jobs—even outside–and its simple setup and layout marking make it suitable for home projects, too. The beams are sharper and thinner than the Bosch models here, and have a range of 50ft. which can be expanded to 490ft. with purchase of an optional receiver. Stabila makes more expensive units for industrial trades, and this basic model benefits from the engineering and workmanship of the line. Just make sure you keep your sales receipt so the 2-year warranty will remain in effect. This readily-available retail brand by Kapro has standard features and a few extras. Built for quick, simple 90-degree positioning, the unit’s main extra is its ability to cast a vertical beam for wall alignment. This tool is best for short-range projects like tiling and smaller household projects, though it lacks a 45-degree placement beam and adjustable angles. The mounting system is simply holes in the housing for positioning nails. The 891 Prolaser is carried by large retailers, making it simple for most to do a hands-on analysis before purchase. With a good battery and simple setup, this laser square will likely accomplish what you need without the complication of higher-end tool. 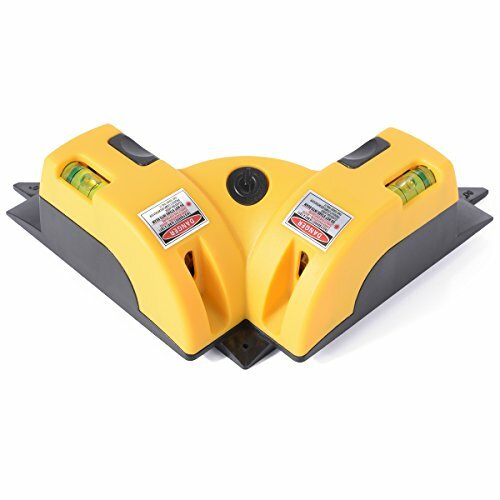 This PowerSmith model comes with standard features for home flooring or wall alignment projects. Dual perpendicular laser lines turn on with a button switch, and are adjustable to 5 settings. The molded housing allows for quick corner positioning. Offered by major retailers, the unit comes with a limited 2-year warranty upon request. The beam strength and accuracy are suitable for light jobs, though the unit lacks the range or durability for most professional settings. • Working range limited to 20ft. 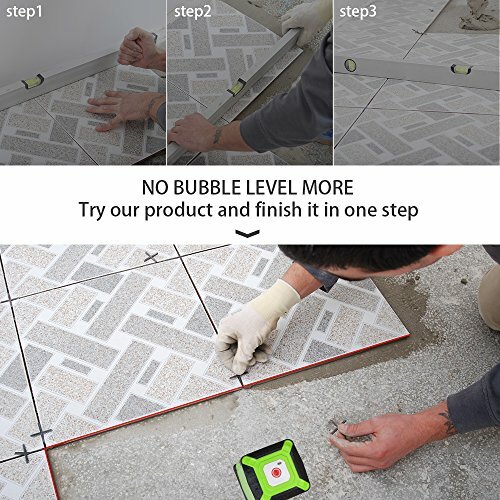 The Huepar FL360 uses a unique patented design for a full-circle beam, which provides all-around coverage for tile laying. This allows for multiple people to work simultaneously. Despite the convenience of setting a 360-degree laser line, this is not an industrial tool: the beam is fairly weak and the battery time is only 8 hours. Though it is officially rated as impervious to water and dust, this unit is designed for indoor use. The Huepar FL360 also features a vertical beam, and its laser lines flash to warn of deviations above 3 degrees. This is an excellent model for those with significant indoor leveling projects. The Bosch GPL5 is a serious piece of equipment that offers beefed-up range and high accuracy of +/- 1/4 In. at 100 feet. This unit is not as simple to setup and operate as more basic models, but it has a lightweight, durable design with many features for advanced construction jobs. At moderate range, its beam strength is sufficient for most outdoor work that isn’t in direct sunlight. 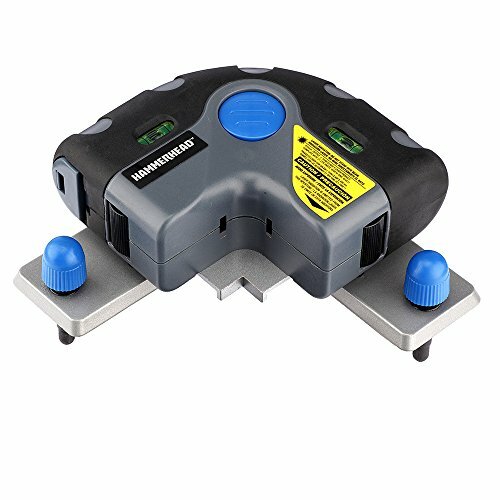 Positioning control and accuracy is a key attribute of this laser level, and it has multipurpose mountings to secure its position. The unit is self-leveling, with a Smart Pendulum System to detect an out-of-level state. Its automatic locking mechanism activates upon shut-off to preserve settings, and the well-engineered casing is water- and dust-proof. The capacity and features of the GPL5 are useful for professional construction, but are probably overkill for the average householder. The instructions are detailed, especially if obsessing over millimeters at a distance is not the job requirement. The manufacturer recommends finding a professional dealer for recalibration, something buyers who only want to hang pictures and re-grout the guest bath may take as a warning. The easy-to-handle Hammerhead HLFL01 comes with a few extras. 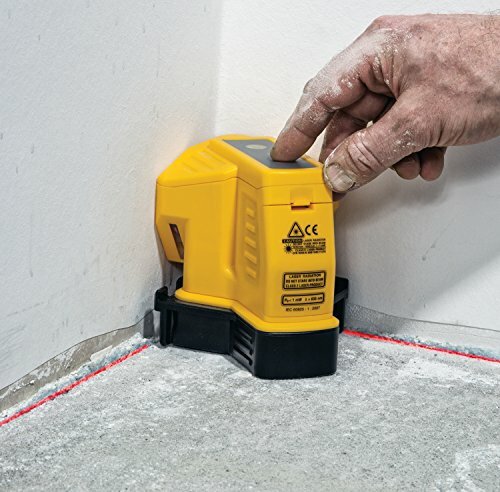 Designed for flooring work, the unit has standard laser lines set at 90-degree angles and a vertical line for plumb leveling, with a range of up to 65 ft indoors. Convenience is the key for this laser level, although the manual mounting system can be cumbersome. The unit is not known for precise accuracy, which may not be important for small indoor tasks, but it is best to check the measurements. Overall, this laser level is best for household and small-area flooring tasks. This is an easy-to-use model for close work indoors, and a good basic tool for occasional household use. It isn’t the most accurate unit over a long range, but it is sufficiently bright and sharp to make an effective guide in smaller projects. The XCSource model is very simple to operate and doesn’t overburden household users with unneeded, complicated features. The mounting is by suction cups. This unit is a great value if you need a time-saving tool for tabletop projects such as quilting or other crafts. When choosing among the myriad of laser square brands and models, pay attention to the features most important to you. If you have a large project, a superior model will pay for itself in time and effort—but it will overpower a small alignment task. Whatever your requirements, you will be impressed with the efficiency and precision a laser square can bring to your work.